Aston Villa will be primed to re-launch their flailing Premier League campaign this season after the international break starting with Tottenham Hotspur, then facing Swansea City and finally coming up against Manchester United in a busy few weeks for the midlands club. With just two wins in their last 10 games (wins against Wigan and Norwich City), football betting odds are going against them. It is a worrying times to be a fan of the Claret and Blues as they look to resurrect their mediocre season after an initially solid start. Although Aston Villa have conceded plenty of goals in their last outings, it has been the deadly duo of Darren Bent and Gabriel Agbonlahor who have kept the Birmingham team going during their rougher times this season. With 10 goals and 5 assists between them so far already, their form will be vital to the success of the form European Cup winners. Alex McLeish’s men will travel to White Hart Lane on 21st November as the hosts will seek to maintain their excellent Premier League form of recent. Harry Redknapp’s side have won four out of their last five games, with the solitary loss away to Rubin Kazan when the Londoners fielded an understrength team on that occasion. Although the Lilywhites will pose a substantial threat to continue Villa’s poor form of late, Darren Bent and Gabriel Agbonlahor could link up once again to prove the difference on the night. Both men got on the score-sheet against Norwich on their last outing and McLeish showered them with praise, labeling them as ‘phenomenal.’ The rest of the team will have to try and defend against the class of Jermaine Defoe, Gareth Bale and especially Rafael van der Vaart though if they seek to get anything out of this particular game. Next up is another away trip, this time to Wales on 27th November. The Liberty Stadium will play host as Swansea look to maintain their incredible home form as they have let in just one goal so far at their ground and have yet to taste defeat there. West Brom, Stoke and Bolton have all been beaten by the Welsh side and they also have a credible draw with Liverpool to their name in their last outing. With four goals in their last five games, Danny Graham will have to be monitored closely by the Villa defence as the visitors look to pick up all three points against the Premier League debutantes. However, Aston Villa will have a decent chance of beating Brendan Rodgers’ team as in the week beforehand, they will have entertained Manchester United where all their big guns will have been out and giving 100%. Therefore they might catch the hosts off-guard and steal all three points as Stiliyan Petrov will look to set the visitors on their way to victory with yet another commanding display from midfield. Finally Manchester United come to town on 3rd December as the reigning champions will pose a formidable test for the home side. Four wins on the bounce since their derby humiliation at the hands of Manchester City suggests they are very much back in the mood to correct things and given their ruthless history against the Villa Park outfit, an away win is likely. Their swash-buckling start to the season is now a distant memory but Shay Given and his defence will be very wary of the capabilities of Wayne Rooney and co. as they visit Villa Park. Nonetheless, a less than watertight defence and a weak midfield could see the hosts sneak a point or possibly all three from this most daunting of tasks. With Rio Ferdinand’s quality being called into question and Nemanja Vidic struggling for a consistent run in the side, Bent and Agbonahor couldn’t ask for a more shaken United rearguard as they will need to make the most of their precious chances against the Old Trafford outfit. 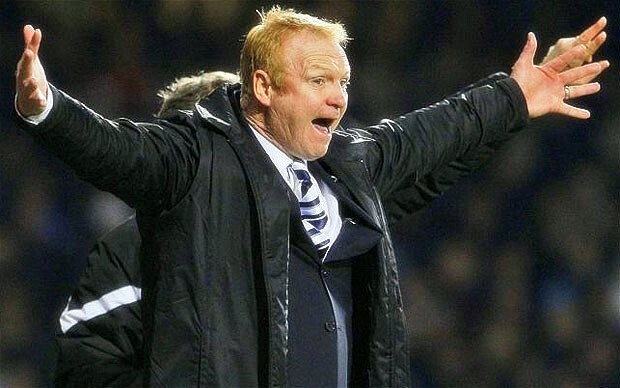 Do you reckon McLeish can outwit his former boss and beat the favourites? Find great odds on Soccerbase.com!